We've got a great new game mode: Ultimate Sky Block! Come try your hand at building up from practically nothing as you complete challenges along the way. The few relevant commands are explained on signs at the spawn point. Had to share this with all of you, in case you missed it. Possibly the first Music video recorded in Space. Meridiana has a youtube channel now. And she kicked it off with a tour video of PDX Minecraft. Check it out below. This is a repost, somehow it got lost in the transition to the new Linux server. New Game mode installed and running, Hunger Games! The Hunger Games comes to PDXMC. You and your freinds can do some PVP action in the Hunger Games. Up to 24 players can participate, and I would love to see it getting some action. The games take place in a new custom world that previews what the new world terrain will become next year. To join the game, there is a Green lobby wall in the portal room in the Spawn Center. Left click the signs to join. Once 8 people have joined it will auto start with a 60 second count down, other players can still join during this time. If you wish to all start the game earlier run the command "/hg vote" this will start counting votes and when 75% or more vote it will start the count down. If you wish to leave a game at any time run the command "/hg leave"
The map will see some addons and improvements over the comming weeks, probably ad some structures and or ruins to spice things up. So come and join the hunger games! /hg vote - after 75% of people vote the game will count down 60 seconds and start. New world opens on the server today. Are you up for it? Your mods and admins are proud to announce a new world is open today on the server. This world is now the soul source for Ender Dragon eggs, and as such will be much more challenging then the normal end. 1. Mobs of all kinds in high numbers, Skeletons, Zombies, Ghasts, Pigmen, and possibly several Ender dragons at once. 2. Once you enter the world only, death, a portal or /home can get you out of it. 3. The exit portals are at the cardinal points from the Spawn location. 4. There are beacons and saferooms along the way, some with items to help you along! 5. You can take anything you want with you, be prepared to die with it. Interesting Minecraft Video, check it out. Found this while surfing around in youtube. Thought it was pretty neat and wanted to share it with all of you guys. Not gone, just been slow on the server…. Well the server has been slow for the last month or so, but it inst going anywhere. Minecraft 1.4 should be releasing soon and I will upgrade the server as soon as critical plugins are compatible with 1.4. And for some fun, we should all be digging minecraft style! Basics of letting others work in your residence. GL Guy created this tutorial in the forums and I Just wanted to bring everyones attention to it. This will help you setup your residence to allow other to work on it with you. Have fun! As you should know by now. 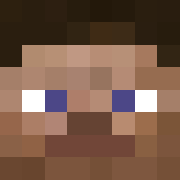 We will be moving into a new game world with the 1.3 update to minecraft. So I thought I would let you guys name the New World, and also the Central Hub. So until August 15th please post, in the comment thread for this post, your ideas for the name of the New World. I will then put up a pole of what I think are the best possible names and you people can vote on them. Sorry about not posting last week. Was a busy week and completely forgot. Recently I found Squarefreaks on youtube. They have some fun minecraft in real life videos to share. Well we got together and had the Live meetup and I think it was alot of fun. We will have to do it again. Jtdaugherty, Thedagit, Glguy, Munkeegurl, Sulseeker, nlancaster, Smileymouse, arylea, and Torinemerson all got together and much fun was had, talking about all sorts of things. But mostly Minecraft. Meet up in real life. OK, so on Saturday July 14th some of us that live in the Portland area are going to get together at Applebees in NE Portland. See you guys there around 9pm. Jimmy3139 - $25, GLGuy - $50, Kenwein - $25, and NIronwolf & TheZupe - $50, I will be ordering all the memory as soon as Paypal gets the money into my debit card account, and then doing the install of the memory. I will announce the day before the memory install, and then take a few days with a test server to get all the bugs worked out of the ramdisk setup, then move the main server into the ramdisk. Hopefully this will eliminate any lag issues! WooHoo! I have installed a new plugin on the server called Lift. This lets you build button and sign controlled elevators for your big projects. GLGuy and I have created a little tutorial in the Redstone Testing center in the creative world. And here is a video tutorial from Woopa Gaming. Enjoy!